Yes, it is almost that time again. The XBIZ Summer Forum is only a couple weeks away. Held at the Hard Rock Hotel in Las Vegas, NV on June 8-10, 2010. This is the 5th consecutive year for one of the better adult webmaster B-to-B summer shows. I remember talking to one of the XBIZ people (I won’t name names) after their first summer show in 2006 and was surprised to learn that they only expected 300 people to show up. I have seen XBIZ throw Friday night parties that had that many attendees, so I did not really understand why they were not more confident, but I suppose those worries are long gone now. This year, tickets are only $100 and rooms at the Hard Rock are only $99 a night (plus all the local taxes and fees). These prices make the show a great value in my opinion. A quick review of the scheduled seminars reveals that SEO and social media seem to be a primary focus of the seminars, which is appropriate as they are quite important in today’s Internet marketing world. For those of you that can not get enough of Las Vegas, after the XBIZ Summer Forum the XFANZ show follows, which is billed as the first outdoor erotica expo. It should be interesting, and I look forward to attending. I hope to see you there. I have been attending The Phoenix Forum since 2004. It immediately became one of my favorite shows, due in large part to the hospitality shown by the CCBill staff. In 2010, Got Web Host was a Platinum sponsor so my take on the show was a little different than before. The one constant that has remained over the years is how much CCBill bends over backwards to ensure everyone has fun, while able to conduct business at the same time. 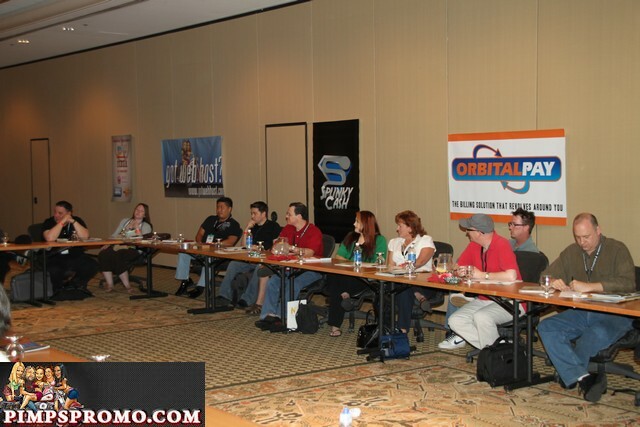 The Phoenix Forum 2010 was held April 8-10, 2010 and was a true three day, B2B adult webmaster event in that there were activities that lasted from the beginning of the 8th until late night of the 10th. It seemed that there was not any time that something was not scheduled. This was the sixth year in a row that the form was held at the Tempe Mission Palms. The hotel is closed off to the general public which is nice as we do not have to worry about wedding receptions, little kids and religious groups being there at the same time as our event. This allows people to let their guard down a little and makes for a more pleasant atmosphere. While my interaction with the hotel staff is usually minimal, it seemed that I was always greeted with a smile by those I did encounter. The only negative comment I ever hear is that the hotel is not big enough to accommodate all the attendees, and I suppose this is true. However, I do not know that there is a hotel around Tempe that is as nice as the Mission Palms, so I suppose there is a good reason they keep using it as the TPF location. As always, the catered meals provided at the show were excellent. 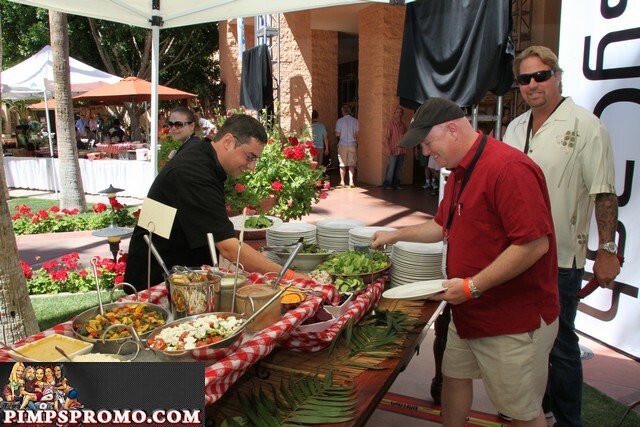 The buffet style lunches and the closing barbecue provide plenty of tasty foods, with tables loaded down as far as the eye could see. For a few years now, JBM has been sponsoring a Hooter’s Happy Hour across the street from the venue with all you can eat chicken wings and beer. This event is always popular and when you notice the hotel grounds being sparsely populated, you can usually attribute that to a couple hundred forum attendees being across the street. Of course, I would be remiss if I neglected to mention the ever present snack shacks. I only wish they were open later, but I am sure my waistline appreciates the fact that I can not hit it up at 2:00 AM. One thing I have noticed over the past few shows is that the attendance level of the seminars seems to have risen significantly. I remember when I would walk into a seminar and there would be very few in the audience, and those on the panel would use it as an opportunity to spam whatever services they happened to provide. One might suggest that the seminars were targeting newbies more than anyone else. I suppose it has something to do with the fact that the business-to-business shows are attracting more decision makers than before, but the seminars seem more informative these days and many are standing room only. I had an opportunity to sit on my first panel, Business 101, and it was an enjoyable experience. I would definitely do it again. Early Friday evening they had the Sponsor Meet Market. This event gave all the attendees an opportunity to see all the show sponsors in one place. It also gave the sponsors an opportunity to make themselves available for any questions and to hand out the remaining swag they had brought with them. As a sponsor, I appreciated the opportunity to sit for a while and let people come to me. A tip for sponsors of future shows, get there early and pick a table that will be shaded once the sun begins its descent. As stated above, I have been attending this show for the last seven years. It is a great mix of business and pleasure. They always have interesting seminars and plenty of activities to keep one busy. The late night party suites last longer than I can hold on, and the ever popular Webmaster Dodgeball, sponsored by Lightspeed Cash is pretty hard to beat. As a sponsor, I found CCBill to be quite accommodating and Sherri must be singled out as being a great help. I hope she got a well-deserved vacation after the show ended. We will consider being sponsors again, and will definitely be attending future Phoenix Forums. Thank you to CCBill and all the sponsors for making The Phoenix Forum 2010 a pleasant and successful event. Rise To the Top appears to be a Canadian drinking game for those long cold evenings on the frozen tundra. This game was videoed at The Phoenix Forum and sponsored by CCBTools.